One firm believer in this increasingly common business model is Chris Anderson, editor-in-chief of Wired magazine. He claims the costs in the digital world are so low that both the companies and their customers are winners. BBC Radio 4's In Business spoke to Chris Anderson ahead of the publication of his book, Free: The Future of a Radical Price. In it, he explores the idea that the prices charged in the digital world will continue to reduce until they reach zero. "Everything wants to be free," he says. "The new business model is one where companies grow rich by charging their customers nothing at all." Is this too good to be true? Is there really such a thing as a free lunch? "There are really two kinds of free," says Mr Anderson. "There's fake free, which is just marketing -the buy-one-get-one-free model, the invocation of the word 'free' to grab consumer attention, but it does not change the underlying economics." What has changed the economic model, Mr Anderson claims, is that in the last 10 years we have seen the amalgamation of digital technology, manifesting itself mostly via the internet. "For the first time in history, [this has] created an industrial model where everything gets cheaper over time, as the underlying costs get cheaper." Mr Anderson refers to Moore's Law, which states that computer power doubles every 18 months. The economic reciprocal of that, he says, is "the cost of a net unit of computer power falls by 50% every 18 months, which means that everything gets cheaper by 50% or more every year and a half". "Imagine a factory of the 19th Century where the labour got cheaper, where the steel got cheaper, where coal got cheaper, the real estate got cheaper, every aspect. "That's why there's such an imperative to make things digital, because you go from an economy where things get more expensive, such as oil and food - the economy of atoms - to an economy where everything gets cheaper, which is the economy of bits". While we still live in a world of both old and new economics - a mixture of the old physical economy, and one where businesses can send complete representations of things across the world at no cost - Chris Anderson strongly believes that "free" is ultimately going to be part of the business strategy for everybody, even though they might find that hard to believe. "At the moment, people are still suspicious of 'free' and are right to be so. They often pay further down the line or pay with their time or reputation." "People are right to think that somewhere, somebody is going to have to pay." But this, he says, is set to change. "Digital economics changes our thinking about this. 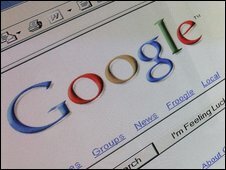 Everything that Google does is free to the consumer and yet Google is an extremely profitable company," he says. "You've got open source, you've got Wikipedia, you've got the blogosphere, Craigslist. You've got all these strange free phenomena which have global scale and yet are free to the consumers." "The new form of cross-subsidy is one where a tiny minority of people who really appreciate the product, really get value from it, can subsidise everybody else, because the underlying cost of doing things online, in digital, is so low that you can give away 90% of it for free." For example, open-source computer software is free to users who can then alter and build upon the system, as long as they make it freely available to everyone else. One of the best known examples of this is the Linux operating system, a free rival to proprietary systems such as Microsoft- a company which has been wrestling with free competition for some time now. This is, of course, extremely tough for traditional businesses to cope with. "It's difficult. It's counter-intuitive," says Chris Anderson. He claims that Microsoft's underlying costs of producing software were very low and, in turn, led to monopoly profits - and the market realised this. "The marketplace said, 'We don't need shrink-wrapped boxes, we don't need retail stores to distribute operating systems, we can do it online for no cost.' Open source ultimately broke the monopoly in a way that the FTC (Federal Trade Commission), the American regulators, never were able to." Initially, open-source software was developed by hobbyists and amateurs, but now companies such as IBM actually pay engineers to create free software. "What they are creating is a platform around which you can add value, you can create services, you can create other software, you can sell hardware perhaps." The idea is to offer the majority of potential consumers something free which a minority are paying for by purchasing other add-on services. Chris Anderson says it is happening in other industries, too, such as low-cost airlines. They may offer a free flight, but you pay for your baggage to be taken on board. He believes there are numerous opportunities here for the airlines. "If we can get your attention with the word free, if we can get you in the door with the word free, what else could we do?" he says. "What could we do with the traffic? With the credibility that we've achieved by offering this extraordinary thing like a free flight?" "Maybe cargo pays the way and the passengers ride for free? Or we're actually a tourism arm of these destinations who are paying us to bring (people) to them." "It's all still cross-subsidy," says Mr Anderson, "but now it's somebody else who's paying." So who are the people who are really getting to grips with this? "They're kids. It's really a matter of experience. If you've grown up online, if you're of the Google generation, you intuitively understand that everything online is ultimately going to be free," says Mr Anderson. "And you also intuitively understand that things offline are not going to be free, by and large." 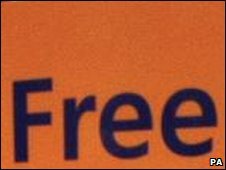 Another aspect of the "free" model is the concept of "freemium". Chris Anderson refers to the spray of perfume given away free in the department store to encourage customers to buy a whole bottle. One per cent of the product is given away free in order to sell 99%. In the digital world, however, the opposite applies, "you give away 99% to sell 1%," he says. An example is the online photo storage service, Flickr. "Flickr Basic is free. Flickr Pro is for premium subscribers who have certain needs. They want more storage or they want special features. It only takes a few per cent of people to subscribe to Flickr Pro at a cost to subsidise everybody else who gets Flickr Basic". The industry which he says will be most transformed by the freemium model is computer games. 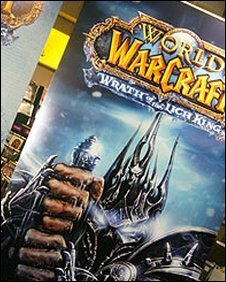 This, he says, is because computer games are moving from the packaged software to the free model, as computer games move online. The majority of players will play free and the games companies will make their money in different ways. A player may buy a new character, or clothing or gold or weapons or even time-savers within the game. "The majority of the game players play for free," he says. "Some fraction of them, the really committed engaged ones, end up paying and they don't feel ripped off by it, because they're so bought into the game that they welcome the opportunity to play more efficiently or get certain advantages." This model, says Chris Anderson, works for the customers and for the company which still makes money. "The people you're charging are happy about it and the people you're not charging are the majority. So everybody's happy and the company makes money because the marginal cost of supplying that game to the free users is close to zero." Listen to the full In Business interview with Chris Anderson on BBC Radio 4 this Thursday, 8 January at 20.30 GMT or catch the repeat on Sunday, 11 January at 21.30 GMT. Subscribe to the podcast or listen via BBC iPlayer . 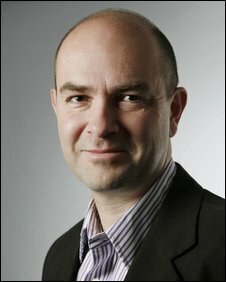 Chris Anderson's book Free: The Future of a Radical Price will be published in the UK in June 2009.